If you frequently have documents authenticated, apostilled or legalized for use internationally, you may already know that the country in which the document is intended to be used has a significant impact on how you proceed. For example, if the destination country and the country from which it originated are both parties to the Hague Convention on Abolishing the Requirement of Legalization for Foreign Public Documents, it may only be necessary to obtain an apostille from the competent authority. If this is not the case, however, it is generally necessary to have the document certified or authenticated in the country of origin and stamped (legalized) by an embassy or consulate representing the country the document will be used in. Many foreign nations have both an embassy in Washington, D.C.and consular offices in other large U.S.cities. For example, Brazil has an embassy in D.C. and also has consular offices in New York City, Miami and Los Angeles. Often the embassies and consulates are given unique authority to legalize documents from certain geographic portions of the U.S., usually based on the location where the document was notarized or certified. The type of document can further have an effect on where and how the document can be legalized. Often, different consulates for the same country do not have the same procedures, fees and turnaround times. Where is the document from? Where will the document be used? The answers to these questions can have a significant impact on how to proceed. Below are a few examples of how to approach a legalization project based on whether the originating and destination countries have signed onto the Hague Convention on Abolishing the Requirement of Legalization for Foreign Public Documents. Example 1: You need to use documents from Japan (Hague party country) in the U.S. (Hague party country) and in the United Arab Emirates (UAE) (non-Hague party country). What you need: Japanese apostille for U.S. and Japanese authentication with UAE legalization for UAE. Example 2: You need to use documents from China (non-Hague party country) in the U.S. (Hague party country) and in Brazil (non-Hague party country). What you need: Chinese authentication with legalization at U.S. and Brazilian embassy/consulate inChina. The type of document, in certain circumstances, can be very important. Sometimes documents such as passports, educational or personal documents must be sent to one consular office, while commercial documents must be sent to another. Certain consular offices may refuse to legalize certain document types altogether, but their sister offices may accept them. Different types of documents may also require different procedures (such as Algeria only requiring translations for a Power of Attorney) or different fees (such as a fee of $30 for Good Standings, and a fee of $600 for most other corporate documents at the Embassy of the United Arab Emirates). And for many Arab countries, commercial invoices require an additional step of certification by the National U.S.-Arab Chamber of Commerce. Sometimes, the regions covered by different consular offices for a particular country overlap. In these situations, it is usually best to determine if there will be a benefit in working with one office over another. 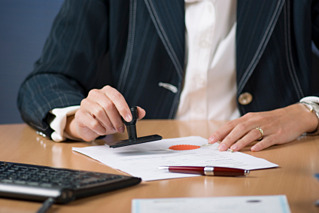 For example, when legalizing a document, some consular offices require only that a document be notarized due to the fact that the notary is registered within a specific territory. Conversely, sometimes it is necessary to have a document notarized, certified by a county clerk, authenticated by a Secretary of State, authenticated by the U.S. Department of State and even certified by a trade group before it can be legalized by the consulate. In some cases, going to one consular office versus another can make a big difference in terms of turnaround time, level of complexity and the cost associated with these projects. Most embassies/consulates post their jurisdictional policies and procedures online. The information on these websites, however, is often out of date and inaccurate. In some cases, the websites are not even in English. We have even seen one example of an embassy website containing a scam because it was set up to be editable by the general public, like a “wiki” site, but postings have clearly not been monitored. The bottom line is that if you are going to handle any legalization project, answer the three questions listed above and then start digging. Realize that the rules and procedures change all the time so you can’t assume something will be handled the same exact way as in the past. By doing your “homework” or working with a service company that is experienced in document legalization, you can help to minimize or eliminate delays and frustration. For helpful resources related to document authentication/legalization, including a current list of countries that have signed on to the Hague Convention on Abolishing the Requirement of Legalization for Foreign Public Documents, visit the Authentication and Legalization Resources page of the COGENCY GLOBAL INC's. website.